The Zygo Soccer Report: A Must Win Match for the Houston Dynamo? A Must Win Match for the Houston Dynamo? It's really difficult to call any given Major League Soccer match a must win match for one or the other club (unless, maybe, it's the last match of the regular season), but it seems that many Houston Dynamo fans believe that their team's next match is a must win if the Dynamo want to make it to the MLS Cup Playoffs. 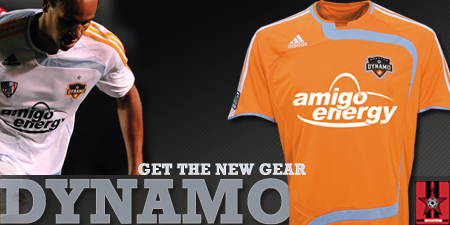 On Saturday evening, the Houston Dynamo will host the New England Revolution at BBVA Compass Stadium. The Dynamo currently sit at 5th place in the Eastern Conference standings, with 46 points, while the Revolution sit at 9th place with 29 points. While the Revolution obviously don't have any shot at passing the Dynamo in the standings, this isn't Serie A, this is America, where lowly teams love to play spoiler. After the Dynamo's 1-3 loss to the Union, another low standing team, in Philadelphia this past Sunday, Dynamo fans are obviously concerned about Saturday's match. I don't begrudge Dynamo fans their concerns, I've been a follower of Houston professional sports long enough to know that Houston teams have a bad tendency of playing to the level of their opponent, but it's a little too early to proclaim Saturday's match a "must win game." The Dynamo still have four more regular season matches, including Saturday's match, before the end of the season. Three of these matches are at home, where the Dynamo have yet to lose this season, and then the last match of the season is away at the Colorado Rapids on October 27th. There's an old cliché in sports: "We're taking it one game at a time." That's what the Houston Dynamo have to do right now, and that's what the Houston Dynamo's fans need to do right now too. The team and its fans need to focus on Saturday's match right now. 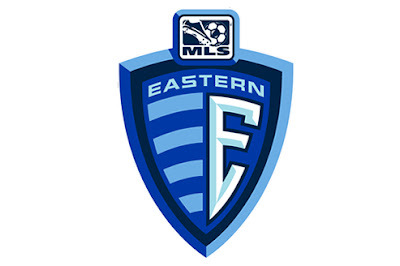 Not on what's going on in the rest of MLS or the Eastern Conference, and not on the standings or the playoff race. If the Dynamo focus solely on the match before them, focus solely on winning that match, and go out there and try to win that match, then, ultimately, everything will fall into place. There's no point freaking out over the standings or getting all emotional and irrational based on the last result. Take it one game at a time, go out there and win that game, and everything will be fine. Saturday's match begins at 7:30 p.m. central time and will be broadcast on KPRC Channel 2 in Houston, with the radio broadcast on Sports Talk 790.